Without carpet cleaning hoses, professional cleaning would be a very different game. We use hoses for everything from our vacuums to our spray guns. 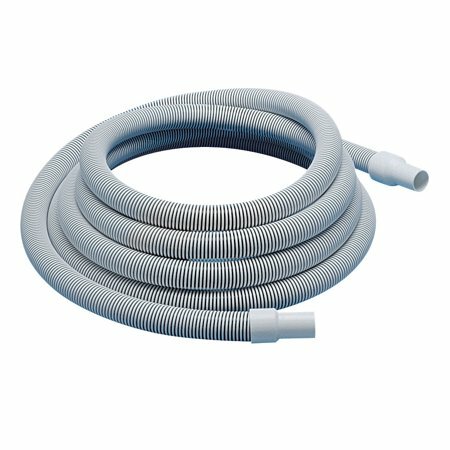 When ever we want to get water or detergent from one place to another, or use high pressure air to help clean carpets or hard floors, we need hoses. Without them, cleaning would be a lot more labour intensive, and take a far longer time. The good news is, Whyte Specialised Equipment stocks a huge range of high quality, authentic hoses, perfect for if you break or lose one, or if you just want a few spares in the back of the van. As hoses come in such a large variety of shapes and sizes, with a range of applications, it can be hard to know which one you might need. Use this guide if you’re confused as to which one is right for you. If you still need help, contact us – our experts love to answer any questions you may have! If you’re using a high pressure hose, then you’ll want it to be extra sturdy and hard-wearing. This will ensure the power of the air or water doesn’t force it from your machine. 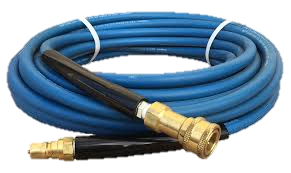 High pressure – or ‘solution hoses’ – are a must for a thorough clean, especially outdoors. Our 3000 PSI pressure washer hose has been designed for flexibility and strength, with steel braided technology making it extra durable. For every-day tasks, a vacuum hose is a must. Made for commercial use, our hoses are heavy duty and durable, designed not to crush. For your convenience, they come in different sizes, including 2.5” and 2” Vacuum hoses, featuring leak-proof cuffs and both male and female connects. This way you can shop with confidence, knowing our products will suit your machines! Based in Ferntree Gully, our carpet cleaning hose to businesses across Melbourne, Canberra, Sydney, Brisbane, Darwin, Perth, Adelaide and Hobart – and across regional Australia.